The O2PAK -a solid state handheld oxygen generator- is an emergency source designed to be activated within seconds of injury, providing oxygen in the most extreme conditions. It supplies oxygen until better equipped medical professionals arrive to the scene where they will provide the next level of care and prepare for evacuation. The O2PAK was specifically designed for individuals operating in hostile and remote locations (desert like and low temperature environments up to 40,000ft/12,000m), exposed to a high risk of being injured in the execution of their tasks. Self-contained, compact, lightweight, and easy to activate even under the most stressful conditions, it operates in any orientation. Unlike traditional oxygen sources, the O2PAK is not pressurized, requires no filling, no mixing of chemicals, nor any maintenance. The O2PAK utilizes solid state chemical oxygen therefore eliminating the risk of explosion under fire or hazardous conditions that come with pressurized cylinders, while still producing 99+% pure medical grade oxygen. The O2PAK requires no electricity, no battery, or recharging and can be stored for prolonged periods of time without worry, and will be immediately ready for use when required. The O2PAK had undergone extensive scientific research and development to ensure its safety and efficiency in all environments. The O2PAK also underwent a variety of live tests including: Blast (IED & Landmine), Fire, Ballistic rounds; all to ensure the O2PAK remains non-explosive both while in storage or as oxygen is flowing. Whether as a standalone unit, or as part of an emergency medical kit, the O2PAK is a reliable, readily available, maintenance free oxygen solution for use in any environment or situation immediately when needed. The O2PAK is the Ideal oxygen solution for SAR teams and for Disaster Relief efforts. Its small size and light weight make it easy to be carried to remote locations where heavier oxygen source traditionally cannot go. The O2PAK requires no battery or power source to be used, just pull the pins and oxygen will start to flow within four seconds. The O2PAK is also able to operate in any environment from high/low altitudes to extreme temperatures . The O2PAK is the ideal oxygen solution for search and rescue teams or disaster relief efforts to stabilize a patient in remote environments or in places of emergency. SWAT teams must be prepared for all types of scenarios, from hostage situations to Riot Control. The teams must be properly equipped for these situations, the O2PAK is a portable oxygen solution allowing oxygen to be brought immediately to injured no matter how hostile or dangerous a situation is. The O2PAK has undergone multiple ballistics test to ensure it will remain non-explosive both while oxygen is flowing or not. 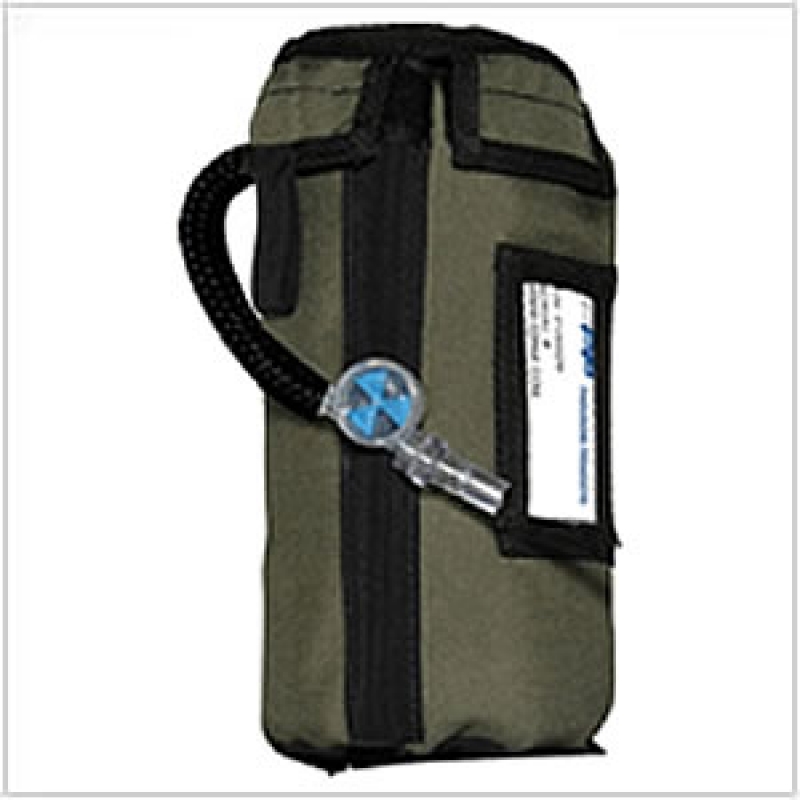 Along with its small size, the O2PAK is the ideal oxygen source for SWAT teams to carry. Piracy is more than ever a major problem in today’s dangerous trade routes. With increasing efforts to prevent attacks, it is critical to prepare for worst case situations. As the O2PAK requires zero maintenance, offers a long shelf life, is non explosive and very compact, it is the ideal oxygen solution to be stored on ships in case of a Pirate attack. The O2PAK will bring medical grade oxygen within seconds to stabilize the wounded until the situation can be better assessed or evacuation can be performed. The O2PAK is also ideal Oxygen source for professionals from agencies such as DEA, FBI, CIA, Counter Terrorism, Border Patrols, and State Department who are exposed to similar life threatening situations in the course of their duties. The O2PAK is also the oxygen solution to be stored and ready for use in places of importance such as Embassy, Goverment building, or other places of high importance or mass gathering. The O2PAK is a safe, reliable oxygen solution for use in the EOD/Demining environments and its unknown and hostile situations. Whether it be sweeping fields for UXOs/UXBs or coming face to face with a IED, the O2PAK is a non-explosive oxygen source that brings medical grade oxygen immediately to the injured in any battlefield environment. When it comes to VIP Protection all precautions must be taken. From the President of the United States to an important hostage recovery you must be prepared for all unknown situations and hostile environments. The O2PAK brings a safe oxygen solutions for use by VIP’s whether that be in an injury or traumatic situation. The O2PAK’s zero maintenance and no requirement for a power source make it ideal to be stored in places of importance such as for Head of State, Embassies, Secure Locations, or carried directly by guards or in vehicles for immediate use when needed. Saving life is not an option. Originally designed to meet the requirements of Special Operations Forces, the O2PAK is a non-explosive oxygen source. It requires zero maintenance, no refilling, and no power source or battery. It is small enough to fit in a military pack and is able to operate in any environment from high altitude to desert heat. The O2PAK is the oxygen solution for use immediately following an injury no matter how hostile a situation is. It will be the oxygen source until the a safe setting can be reach or an EVAC is obtainable. O2PAK: Giving oxygen within seconds right on the battlefield. K9’s are a valuable member and an equal part in any team whether that be in SWAT teams, Demining operation, DEA Drug Enforcement, SAR or any others. As with all members of a team they deserve the protection of proper medical equipment if an injury situation arises. The O2PAK is not just an emergency oxygen solution for the handlers, but one for all professional involved, any K9 injured in the course of duty.